Today I started to check ripple the new MySQL binlog server. I don’t want to give yet any feedback neither I want to answer THE question: Is this the Binlog Server we were all waiting for ? But I had some difficulties to build it on my test machines (rpm based as mostly everybody knows). I think this might be a limitation for people wanting to evaluate it. Therefor, with the help of Daniël van Eeden, I made a rpm that will facilitate the installation on your system. Thank you for your post. 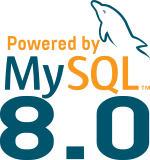 Could you share your spec file to build mysql-ripple-0.3-1.el7.rpm ?